Classic Legends launched 2 new JAWA motorcycles in India on 15th November 2018 – JAWA and JAWA Forty two (JAWA 42). While the original JAWA is available in 3 color options, the JAWA 42 motorcycle is introduced in 6 color variants. Check out the photo of all new JAWA 42 in Galactic Green Color option. The Jawa forty two motorcycle is available in green color. Get JAWA Motorcycle for Test Drive! Provide your details so that we can arrange a test drive of all new JAWA Motorcycle for you at your place! Check out the photo of all new JAWA 42 in Halley’s Teal Color option. The Jawa forty two motorcycle is available in teal color. 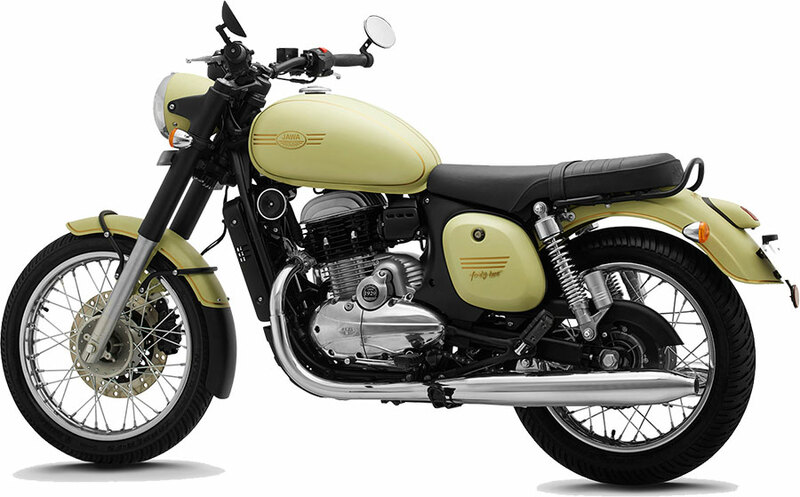 Check out the photo of all new JAWA 42 in Lumos Lime Color option. The Jawa forty two motorcycle is available in lime color. Check out the photo of all new JAWA 42 in Starlight Blue Color option. The Jawa forty two motorcycle is available in blue color. 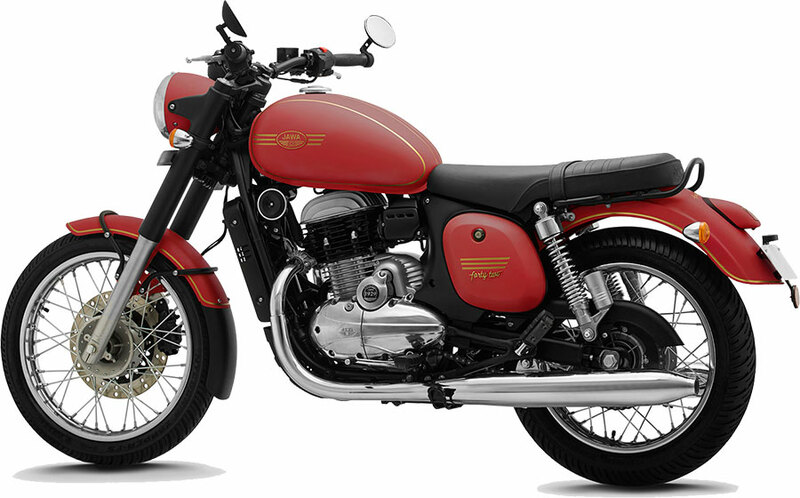 Check out the photo of all new JAWA 42 in Comet Red Color option. The Jawa forty two motorcycle is available in red color. Check out the photo of all new JAWA 42 in Nebula Blue Color option. The Jawa forty two motorcycle is available in blue color. Both Jawa and Jawa 42 Motorcycle are powered by a 293cc liquid cooled, single cylinder, DOHC engine, built from the ground up in collaboration with the best of Italian engineering. It packs 27 bhp of power and 28 Nm of torque with a generous mid-range and a flat torque curve for an unwavering, consistently powered ride. You can add more to this story by commenting below. 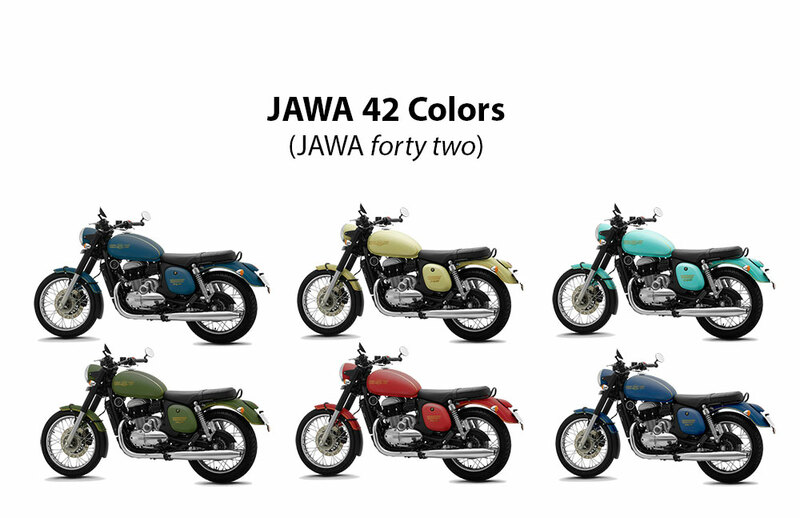 Which JAWA 42 motorcycle color did you like? This byke jawa 42 awesome design, power with latest technology every thing is good but i think something is missing in this byke like led headlamp and as cruiser byke in choice of color grey metallic or black metallic. Jawa Perak Bobber is single seater can it be made double.